WOW! 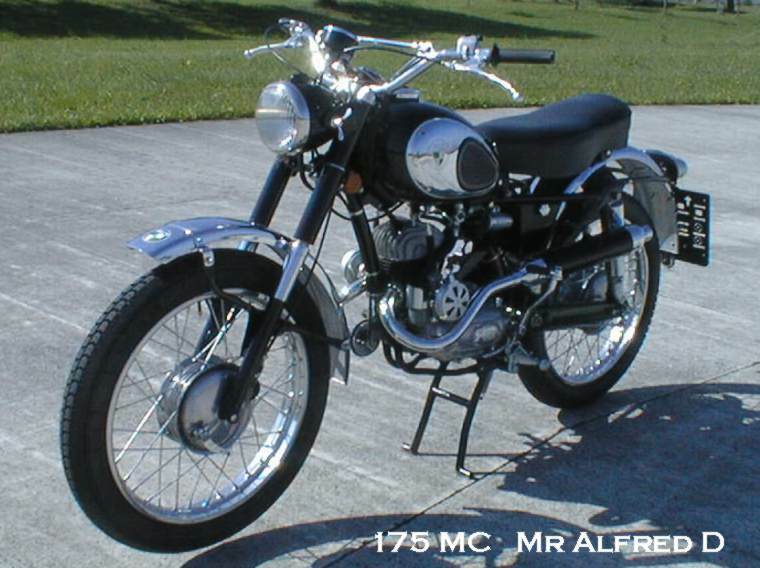 a Puch 175MC! Like the Allstate 250 Scrambler, but based on a 175SVS. Tube frame, dual carbs! EXCELLENT! My best bud Dack, checking out our tiddlers on the way to Sears Point for VMDW. There is a MZ TS150, a Honda CB160 and a Yamaha YA6 on that Holsclaw trailer. An ad for a very rare car. A Sears Allstate. 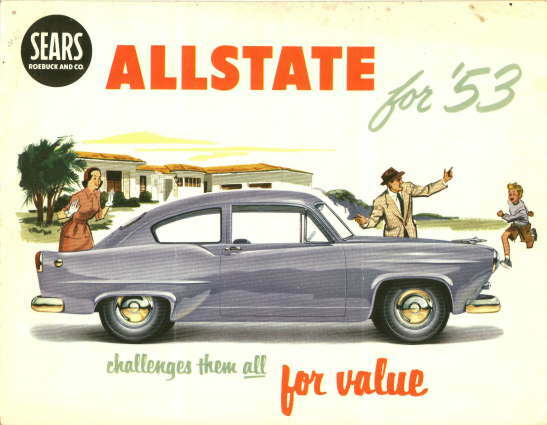 Only sold in 1952 and 1953. I had a `52, but it went away as it was TOO rusty. This car was based on the Kaiser Frazer Henry J. My friend Reinhard (who was a road tester at the Puch factory in the `60's) in Austria has a nice collection of bikes. This is his SGS250. 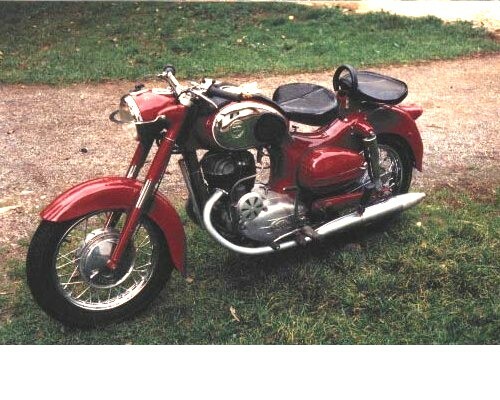 A rare ISO motorcycle from Italy. 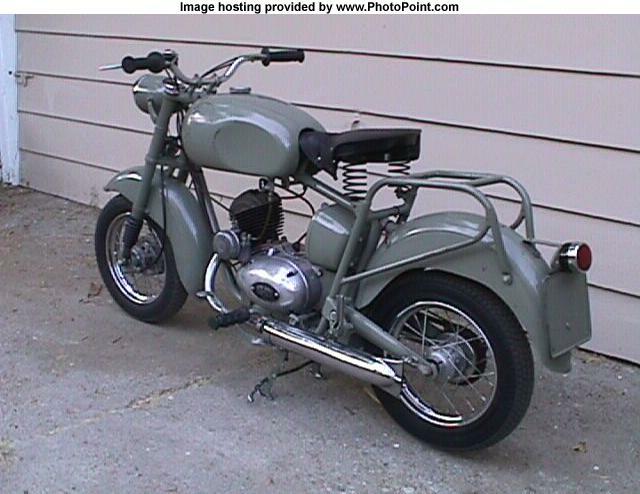 This bike used the split single engine design as did Puch. Cool look too! 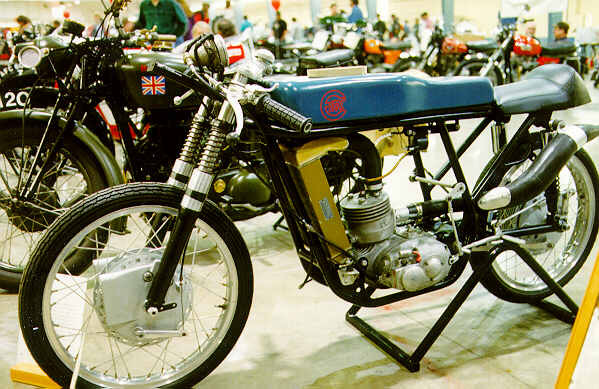 An EMC 125 racer. EMC (Ehrlich Motor Company) built split single engined bikes, both street and racers. Joe Ehrlich raced Puchs first, then built his own. Sammy Miller in England raced and won on EMC's and has some in his collection. His museum is truly a must see!